Sometimes, when we focus on the truly dramatic things that will be possible when the Internet of Things is fully implemented, such as fully automated smart homes or the end of traffic jams, it may divert attention from how the IoT is already making a tangible difference in our daily lives even with only early-stage devices and apps, and why everyone should be seriously considering IoT devices now. 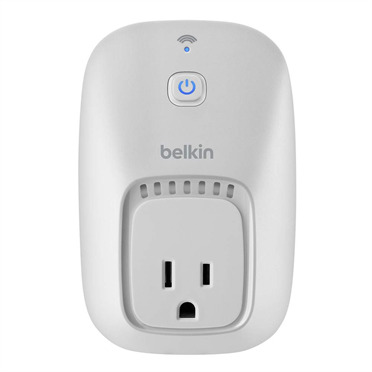 I finally put my money where my mouth is this Christmas, and invested in two WeMo Switches from Belkin. What I like about them is that, unlike spending $250 for a new Nest Thermostat or a new August Dead Bolt, the WeMo switch allows me to increase the IQ of my decidedly old-fashioned current coffee maker and table lamps (OK, I still lust after the 16 million light combinations possible with HUE lights, but those will have to wait until I’m not paying college tuition for my youngest). Yeah, the $199 smart coffee maker would be cool, but not cool enough to justify tossing a perfectly good one. Most important, the WeMos deliver on one of my IoT Essential Truths, namely, What Can You Do Now That You Couldn’t Do Before? You see, we used to have a major bone of contention in the Stephenson household. My wife, understandably, didn’t like to come home to a dark house. Cheap Yankee and zealous environmentalist that I am, I didn’t want to leave the lights on all day just so they’d be on when she got home, and my ADD made it really iffy that I’d turn them on when leaving in the afternoon. Everyone wins (including the environment)! Instant domestic bliss: the lights go on precisely at sunset (I mean precisely: it uses NWS data — how cool is that? ), I get to save energy, my wife gets a warm and welcoming house when she returns. If your company is rolling out far-reaching IoT product either for the industrial or consumer market, think of what individual or limited offerings you could release now that would allow buyers to make a limited investment, realize substantive returns, and then build on those initial findings. Sweet! 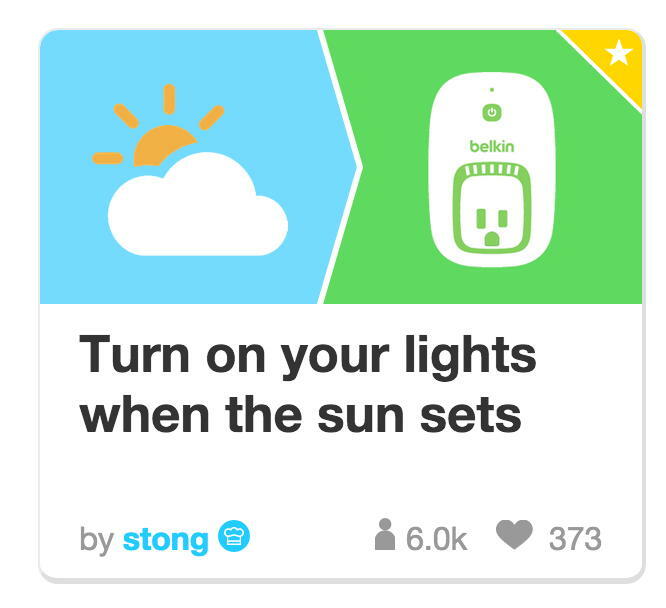 Just saw news that Belkin plans to add WeMo compatibility for Apple’s HomeKit app in near future. My personal vision for the Apple Watch is that, by linking to both the Health App and the HomeKit, it may bring about cross-fertilization of health and smart-home apps and devices similar to how the Jawbone UP alarm can now trigger the Nest thermostat. This would be an important step toward my “Smart Aging” vision that would improve seniors’ health and allow them to “age in place” instead of being institutionalized. 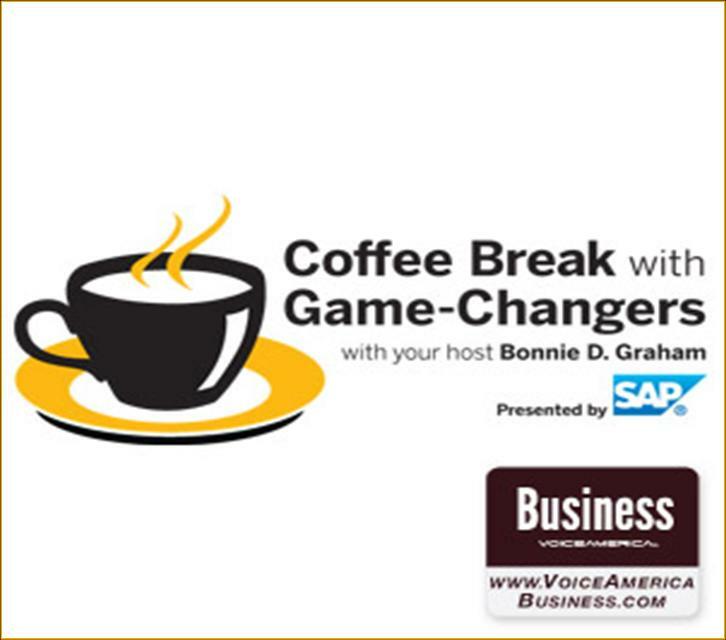 I was on a live edition of “Coffee Break With Game-Changers” a few hours ago with panelists Sherryanne Meyer of Air Products and Chemicals and Sven Denecken of SAP, talking about tech projections for 2015. “I predict that 2015 will be the year that the Internet of Things penetrates consumer consciousness — because of the Apple Watch. The watch will unite both health and smart home apps and devices, and that will mean you’ll be able to access all that usability just by looking at your watch, without having to fumble for your phone and open a specific app. If Apple chooses to share the watch’s API on the IFTTT – If This Then That — site, the Apple phone’s adoption – and usability — will go into warp speed. We won’t have to wait for Apple or developers to come up with novel ways of using the phone and the related devices — makers and just plain folks using IFTTT will contribute their own “recipes” linking them. This “democratization of data” is one of the most powerful – and under-appreciated – aspects of the IoT. 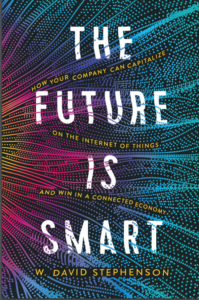 In fact, Sherryanne, I think one of the most interesting IoT strategy questions for business is going to be that we now have the ability to share real time data with everyone in the company who needs it – and even with supply chain and distribution networks – and we’ll start to see some discussion of how we’ll have to change management practices to capitalize on this this instant ability to share. (Sven will be interested in this one) In 2015, the IoT is also going to speed the development of fog computing, where the vast quantities of data generated by the IoT will mean a switch to processing data “at the edge,” and only passing on relevant data to the cloud, rather than overwhelming it with data – most of which is irrelevant. In 2015 the IoT is also going to become more of a factor in the manufacturing world. The success of GE’s Durathon battery plant and German “Industry 4.0” manufacturers such as Siemans will mean that more companies will develop incremental IoT strategies, where they’ll begin to implement things such as sensors on the assembly line to allow real-time adjustments, then build on that familiarity with the IoT to eventually bring about revolutionary changes in every aspect of their operations. What’s your take on the year ahead? Would love your comments! Now for Something Completely Different: launching my 2nd career, in voice-overs! Ever since I acted with arch-spy Aldrich Ames (how’s that for a piece of trivia?) in the McLean High production of Richard III when I was in 8th grade (people couldn’t believe such a big resonant voice was coming from such a pipsqueak! ), people have complimented me on my speaking voice. More recently, my wife and others have told me I really should do voice-overs, so I broke down and got some great training from Jordan Rich of Chart Productions, and today I’m officially launching my second career, as a voice-over artist. As these samples will hopefully demonstrate, my forte is scripts where you need a real voice of authority: deep, resonant, and re-assuring. In particular, given my reputation as a leading thinker in technology issues such as the Internet of Things, open data, and mobile strategy, I’m ideal for technology promotions where it’s important to have someone who can not only read the words, but understands the concepts. I’m also a passionate history buff, so I’d be ideal to voice your documentary: with authority and a tone that makes the past come alive. And let’s not forget commercials: I can bring humor and a twinkle in my voice to your ad. If you know a producer or director, I’d appreciate it if you’d pass the word! I’m open and ready to do business! comments: Comments Off on Now for Something Completely Different: launching my 2nd career, in voice-overs!